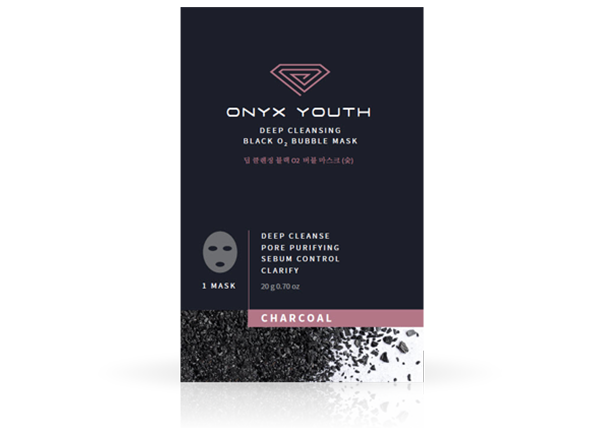 When you apply the Black O2 Charcoal Bubble Mask to your face, hundreds of tiny bubbles go to work, massaging and revitalizing your skin. You’ll love the way this treatment makes your skin look and feel while it removes toxins, impurities and dead skin cells, leaving you with a brighter, firmer, fresher-feeling face in just moments! This mask is safe to use on sensitive skin. It does not contain sulfates, mineral oils, synthetic coloring agents, triethanolamine or petroleum. Charcoal is a highly effective skin care solution. 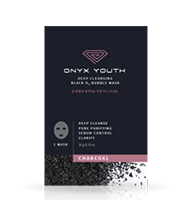 The charcoal in the O2 Charcoal Bubble Mask is an excellent match for oily or blemish-prone skin. It deep-cleans your pores and gets rid of excess sebum and dead skin cells that make your skin look dull and tired. Orange and Lemon Extract draw out toxins, impurities and excess sebum from deep inside your pores. Charcoal is extremely rich in minerals and has antiseptic, antibacterial and antioxidant properties. It works effectively to not only clear blemishes, but also to heal inflamed or irritated skin. 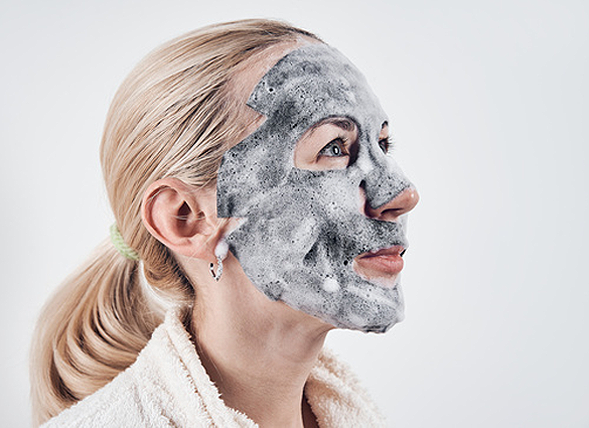 The mask has unique cleansing properties that easily lift out oil and dirt from deep inside your pores. 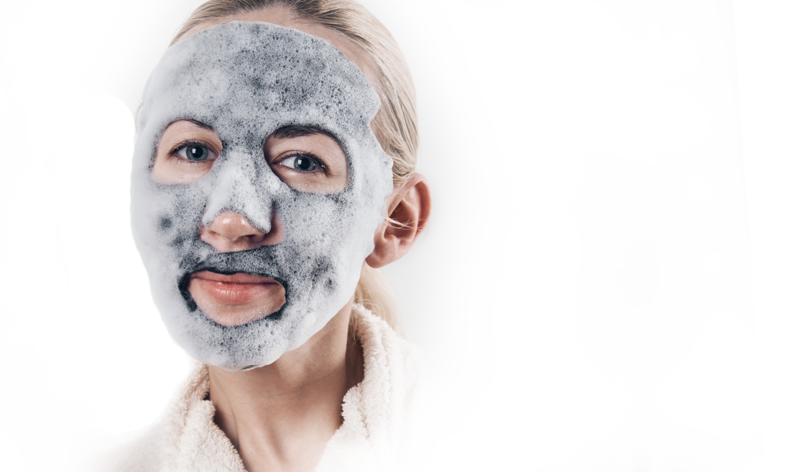 Say goodbye to unsightly acne breakouts with a simple application of the O2 Charcoal Mask. The enzymes, phytochemicals and alpha-hydroxy acid complex in papaya extract combine to act as a powerful exfoliator that dissolves inactive proteins and dead skin cells. You will instantly notice softer, smoother skin. The glycolic acid in sugarcane is an exfoliant. It is also highly soluble, meaning it can penetrate skin deeply and easily, erasing fine lines, acne, blackheads, dullness and oiliness. When washed off, it leaves behind smoother skin that is also more youthful-looking. Can I return the mask if I don’t get the results I wanted? Yes, we offer a 30-day money-back guarantee. How do I use the Charcoal Bubble Mask? 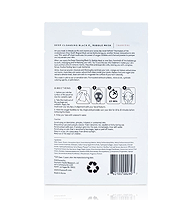 Before applying the mask, rub the package gently to combine all its ingredients thoroughly. 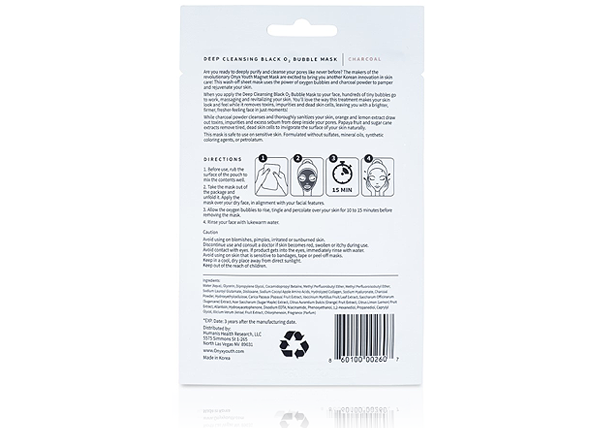 Then, put the sheet mask on dry skin, carefully aligning it to your facial features. Avoid the eye area. For best results, leave it on for at least 10 to 15 minutes before rinsing it off with lukewarm water. How do I store the Charcoal Bubble Mask? Keep in a cool, dry place away from direct sunlight and out of the reach of children. 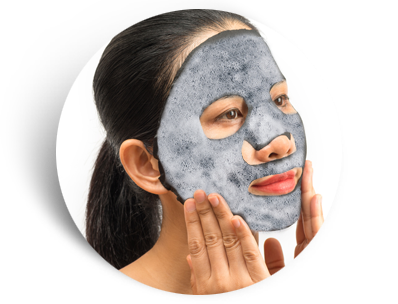 Is there anyone who should not use the Charcoal Bubble Mask? 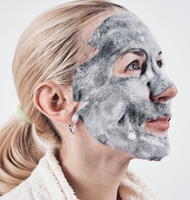 The mask is chemical-free, hypoallergenic and safe for sensitive skin. However, anyone with an active breakout of pimples, or who has irritated or sunburned skin, should avoid using the mask.